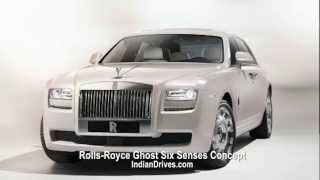 At this year's Beijing Auto Show Rolls Royce revealed what they call a "highly-bespoke luxury model", which takes the Ghost to the next level of luxury, elevating all your senses, hence the name Rolls Royce Ghost Six Senses Concept 2012. Before you ask, the sixth sense represents the "spirit and aura" that surrounds the model. I say we should take a look at what the Concept can actually offer compared to the ongoing Ghost. The exterior of the Concept Ghost is associated with the sense of "sight" and offers a Carrara White pearlescent finish and a new, unique set of alloy wheels. On the interior the Ghost Six Senses offers Walnut Burr veneer, natural soft grain leather and carpets made of deep pile lambswool. The interior of the car is associated with the sense of sight, touch and smell, the luxurious materials enriching the Rolls Royce concept's interior, creating "scents that are unique to Rolls Royce". The Ghost Concept offers a state-of-the-art sound system featuring an upgraded amplifier and "exciter" speakers concealed in the leather headlining. Furthermore, the interior is well lit due to a panoramic sunroof which "urges occupants to relax in style", and of course the sense of taste is being enhanced by refreshing chilled drinks from a coolbox, or "vintage champagne" served from champagne flutes "featuring a delightful sound-wave etching". Justifying the sixth sense, Torsten Müller-Ötvös claimed that "A Rolls Royce is always so much more than the sum of its beautiful parts". Although the price hasn't yet been revealed, judging by the above quite expect the Ghost Six Senses to have a price tag higher than the sum of its parts as well. Figuratively, you're most than likely going to pay more for the sixth sense than what you'll pay for the other five. 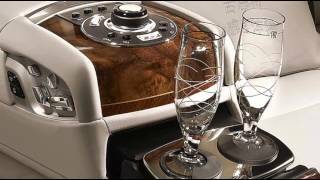 Nevertheless the Six Senses Concept 2012 is probably not going to be a limited edition like the Year of the Dragon Phantom and it will definitely be less costly. 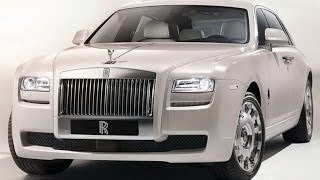 If you're wondering when the Rolls Royce Ghost Six Senses Concept 2012 will be available for purchase you're going to be disappointed as Rolls Royce hasn't revealed any information regarding this matter either, but we're bound to find out more later this year.